A BOLT Offering to the Gods and to You! 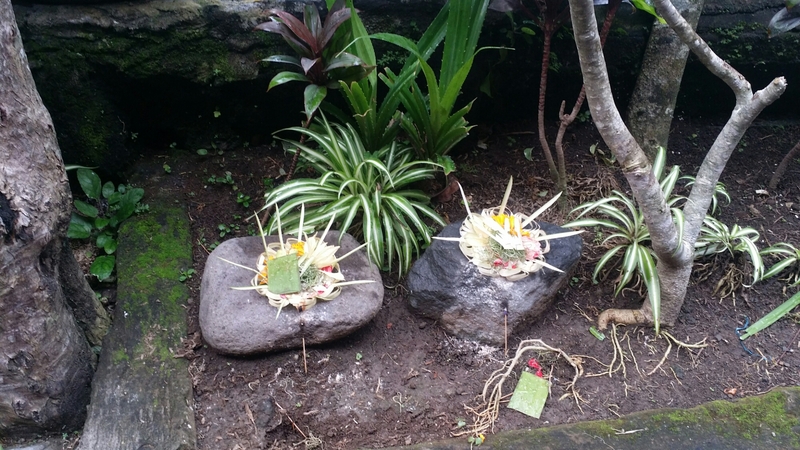 All throughout the grounds of the bread and breakfast where we are staying and everywhere on the streets of Ubud we notice small bamboo baskets filled with pieces of fruit, flowers, rice and other items. 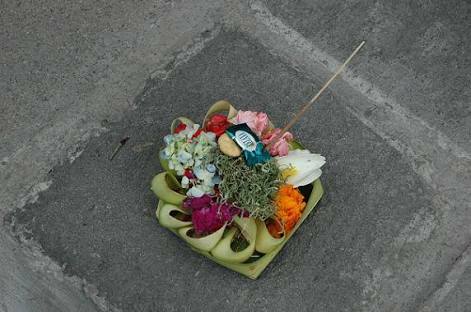 These baskets are called canang sari and are offerings (prasada) to the Gods. It is a way of saying thank you for all the blessings received. 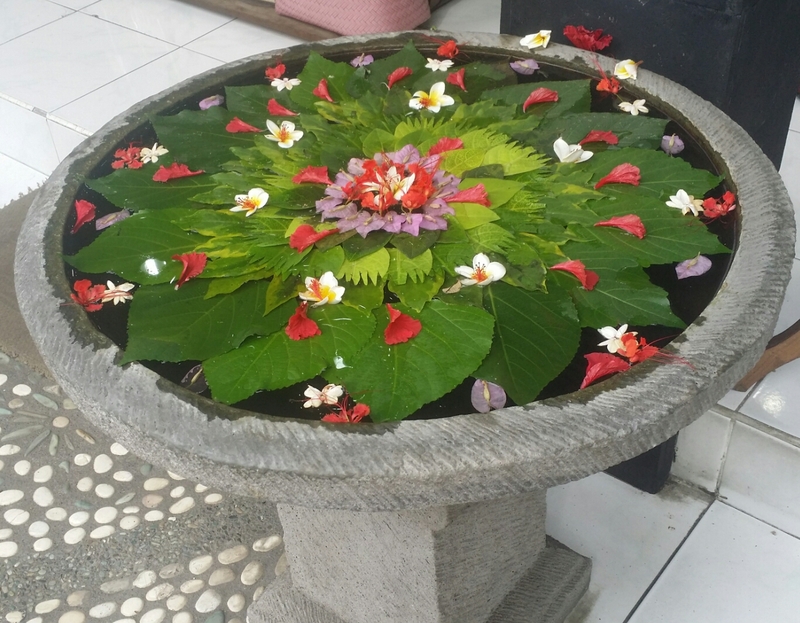 This lovely Hindu practice resonates deeply with me and is just one of the many reasons I love Ubud, Bali. 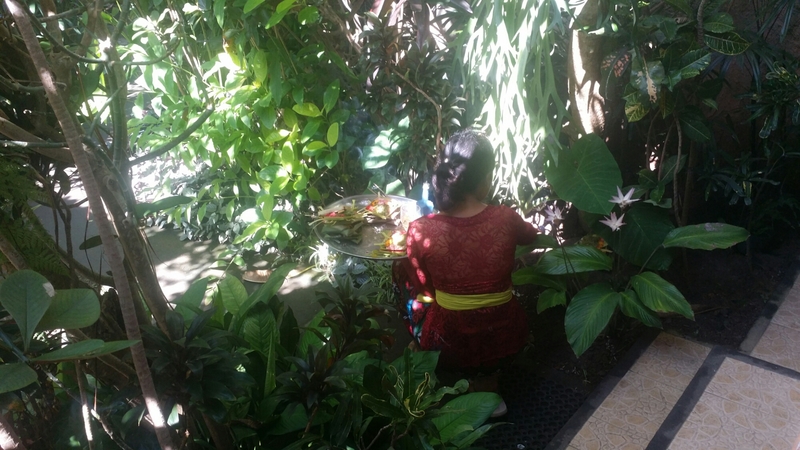 We have witnessed Balinese men and women quietly placing the offerings and making ritual hand movements, saying quiet prayers or chants while doing so. 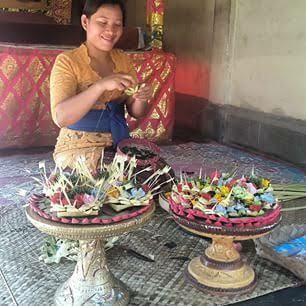 Incense is placed alongside the baskets making Ubud a fragrant and peaceful place to walk through. Early in the morning the sidewalks are swept clean of yesterday’s canang sari and then washed in preparation for the new day. 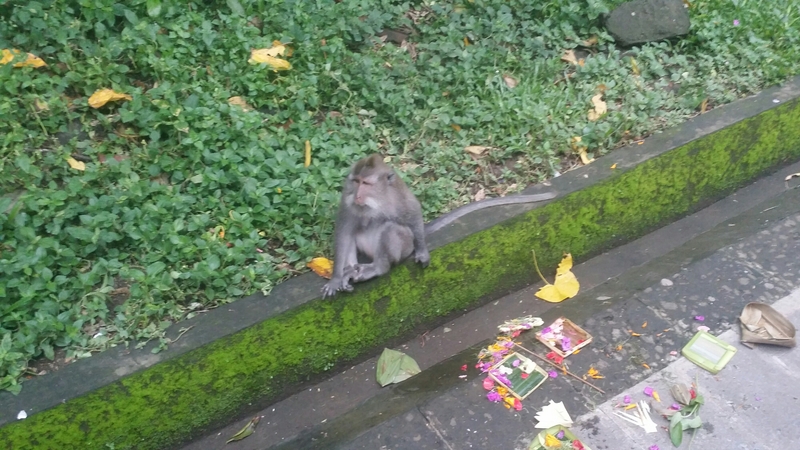 Offerings are done three times daily. The little baskets are hand made and you can see people making them as they sit in their shops and homes. 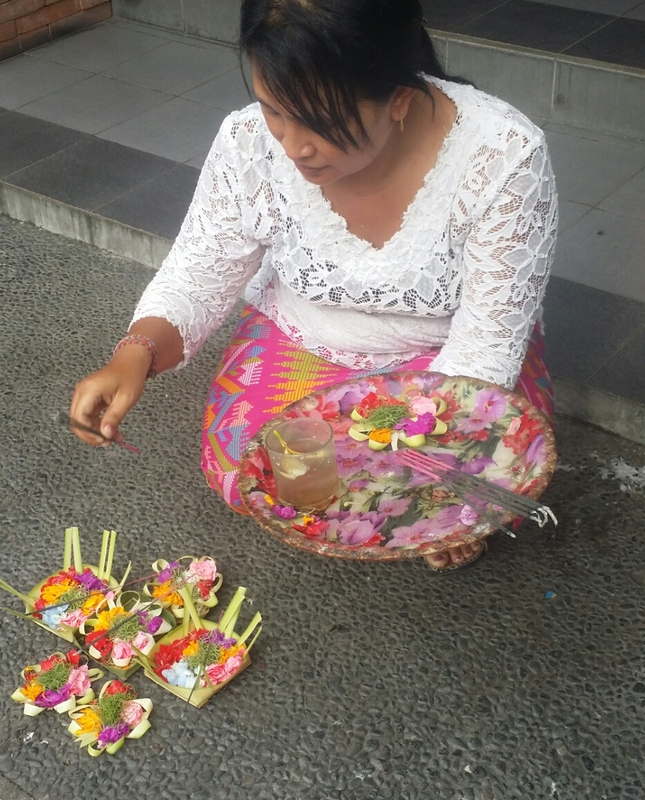 Ubud is our first visit to Bali but I understand this tradition is practiced throughout the island. 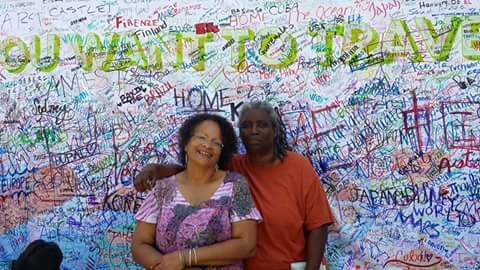 We are so grateful to be here, for new experiences, for safe travels, and for the abundance and blessings in our life. 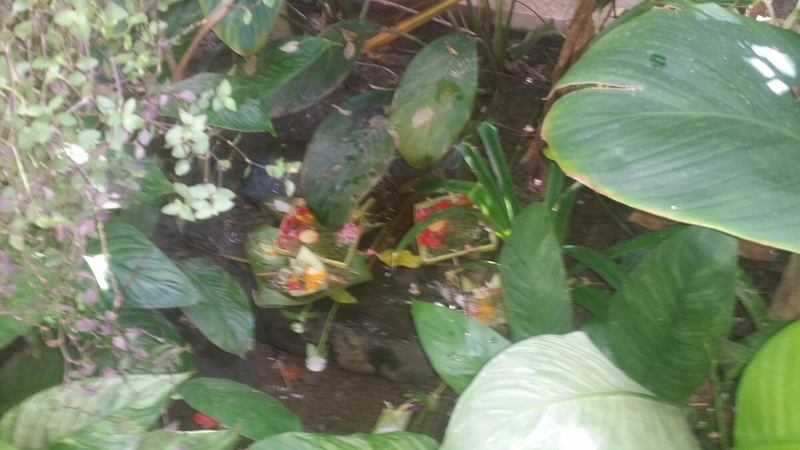 This post is my canang sari to the Gods, the ancestors, orishas, angels, the Universe and to you.